What’s the easiest way to make it to page one of search engines for your targeted search terms? Video! For a few years now, us marketers have realized that targeted video can be a shortcut to the front of the search engine results. If you’re interested in this kind of exposure, you should be creating videos and placing them on YouTube and embedding them on your website. Video is also a powerful sales and educational tool, so we encourage all of our clients to consider this strategy. Unfortunately, most small businesses we meet have no idea where to start. Before you get caught up in the technical tips of optimizing your videos, you should find interesting topics and reasons to use video on your website. 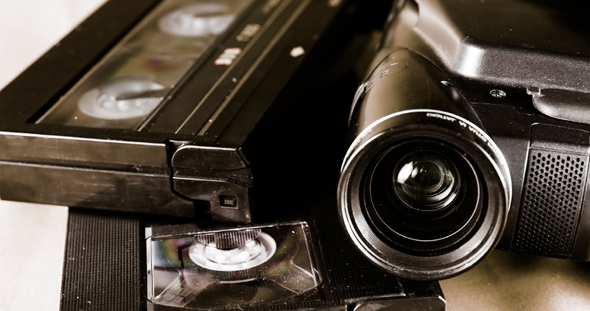 We’ve created this list to inspire ideas for your video Internet marketing. Feel free to add your own ideas in the comments. This is probably the most common application of videos on websites. If you are the voice of your company, make sure to personally introduce yourself. Example: Klaus personally invites you to one of our Juicy webinars. Let customers explain how you helped them. Spice these up with some additional footage that shows the results or benefits you offer while your customer is telling the story. Example: See how ShoreTel uses customer testimonials to sell its products. People are far more likely to buy what they understand. Use video to paint a clear picture of your product in action. Product Example: Drobo has a fun and educational demo of its breakthrough storage device. Service Example: The Sydney Psychologist explains what to expect during a couples counseling session, without having to show part of the session. Have an extraordinary product or service that has a remarkable back story or production process? Use it to convey value to your prospects. Example: Suzi Watson Designs created a gorgeous video on the Indian origins of their textiles. Can you educate your market on new ways to use what you sell? It’s pretty obvious how this can generate more business for you. Example: This promotional products distributor has created a series of videos to inspire marketers to use her products. Showing someone how to do something can lead them to hire you once those efforts begin paying off. Example: The China Business Network has a number of videos on how to do business in China. It can be assumed that people interested in those videos would also be interested in the Network membership. Do you speak about your industry? Next time you are invited to speak, make sure to film the session and break it into small clips, each focused on an idea. Example: This sports performance coach has released a portion of his workshops on YouTube. Show your current and future customers how to use your products and services with tutorials. Example: This Mary Kay representative creates video tutorials demonstrating how to use the products she sells. Bonus: Make sure to include a call to action. A number of the videos we included as examples end with a clear calls to action that will lead to business for the company. That is the ultimate point of this, after all. Have fun promoting your small business with video!